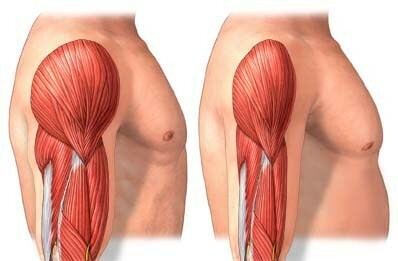 Sarcopenia is my favourite word. I heard it a few years ago when I discovered that, like everyone else, I was suffering with it. The gradual reduction in skeletal muscle mass as we get older (0.5%-1% per year after age 25), the stuff middle aged-crises are made of! I have always played sports and been active. As a 42 year old (I count that as young! ), I still run, swim and go to the gym once or twice a week. No major injuries and, touch wood, no back pain issues which is the subject I deal with the most at Steadfast. I got back from a 2 week holiday in Spain last weekend. Aside from a little swimming, my activity levels dropped enormously as I tucked into tapas and the odd glass of Rioja! Now 3 weeks on, I feel a noticeable, alarming reduction in what muscle mass I had before I went away. Use it or lose it I think is the saying. However the other thing I notice, which is what got me thinking about back pain patients, is that my will power to return to doing exercise is at rock bottom! I now have no desire or motivation to go to the gym or do anything. My principal personal reason for exercising is that my body stagnates when I don’t do anything, so I have to crank things up. Yesterday I did manage to win a herculean mental battle and take myself off for a run but it was painful (run = jog/ run any slower and you’ll be stationary). It was also depressing because I realised how much pace, strength and stamina I had lost in such a short space of time! All clinicians prescribe exercises to their patients and patients expect (are resigned) to walk out of a clinic with a list of exercises. For people who perhaps haven’t had a habit of exercising for a long time, who have pain and particularly those who are overweight, is it any wonder that they find it so difficult to comply with an exercise programme? And when someone fails to comply with an exercise programme and they remain in pain, doesn’t it reinforce a negative mindset? Those ‘depressed’ feelings about themselves and what they are (not) capable of are extremely demotivating. I have written a couple of articles about taking lessons from other industries to improve exercise compliance. E.g clinicians can use exercise diaries for personal exercise accountability, wall planners as visual reminders and clinicians can link up with personal trainers to create short programmes to help patients with exercise compliance. There must be other ways too … group classes etc etc. Given that chronic back pain is the #1 musculoskeletal cost to society, there has to be a case for putting in place more robust systems to help patients and back pain sufferers in particular overcome inertia and progressively develop a habit of activity and exercise. Otherwise, people will never get off the chronic back pain merry-go-round and, for the reasons outlined here, certain financial inefficiencies will persist as money is spent on treatments when there is limited long term benefit. PS It’s 8.30 Saturday morning as I write this. The gym is open for business, there is bacon in the fridge and I feel the battle already in my brain. Battle won …. I’m getting back on the virtuous circle … though I might I have some bacon when I get back! Steadfast Clinics is expanding the availability of IDD Therapy spinal decompression for disc-related back pain and Thermedic Infrared Therapy systems for joint pain relief and soft tissue injury rehabilitation. 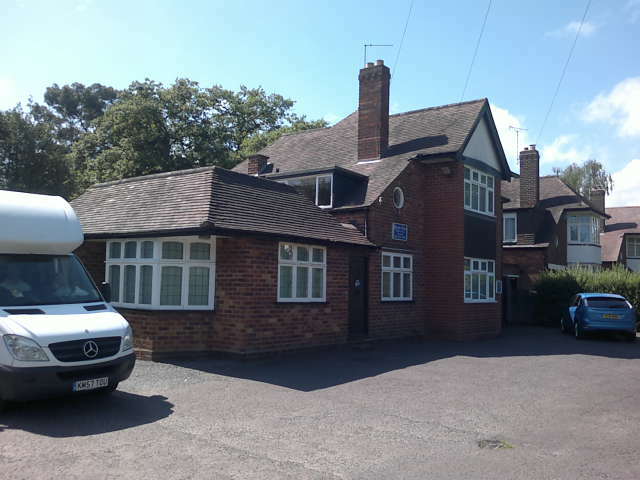 Broad Oaks health Clinic is the longest established physiotherapy clinic in Solihull, West Midlands, UK. 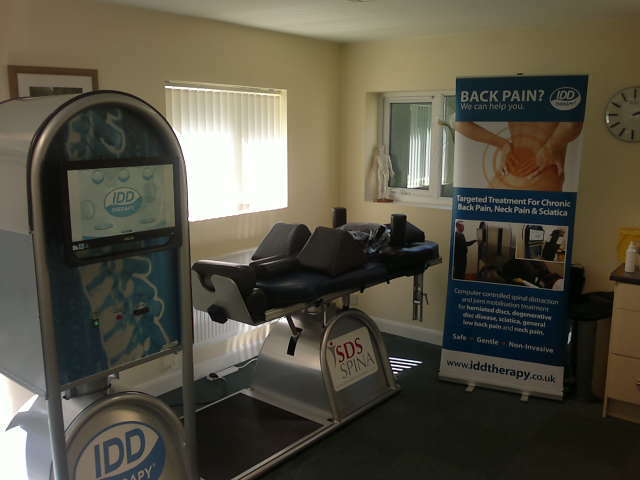 Having been aware of IDD Therapy and the SDS SPINA, clinic director Mark Webb upgraded his old traction unit to offer the advanced IDD Therapy spinal decompression programme. What a difference! 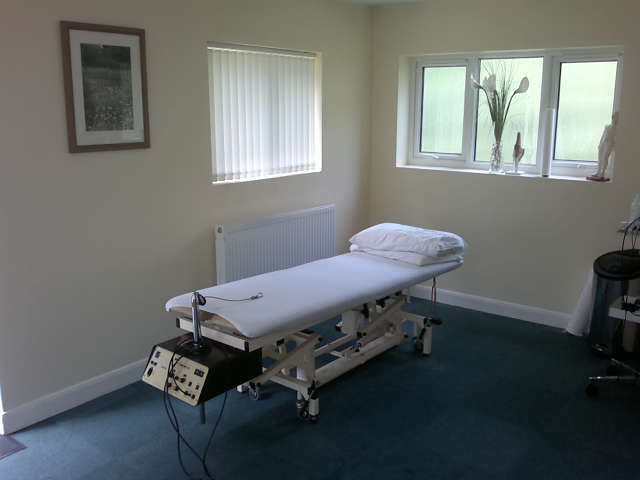 For more information about IDD Therapy, back pain treatment and physiotherapy in Solihull, contact Broad Oaks Health Clinic on 0121 705 3509 or visit www.broadoakshealthclinic.co.uk.